Capital Of Banglore, Lalbag, Sir Vishweshwaraiah Mesume, Eskon Temple, Legislative Assembly ( Only Outside ). 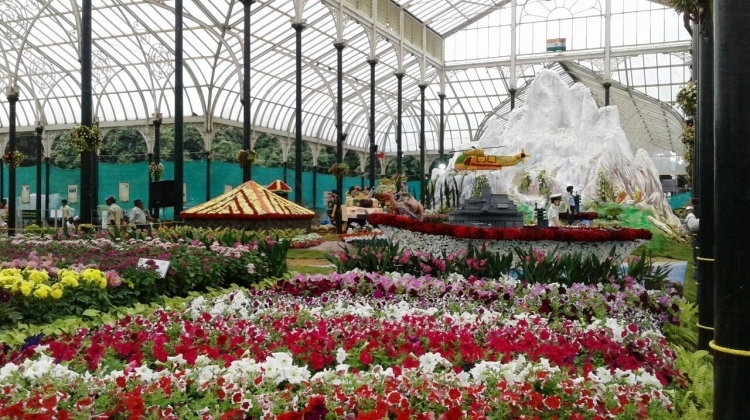 Chamunda Hill, Nandi Hill, Maharaja Mysore Palace ,Zoo, Brindavan Garden. Pune / Solapur to Bangalore by Rail 16529 Udyan Exp.at 11.45 / 16.20 Hrs. Bangalore - Srirangapatanam - Mysore. After breakfast proceed to Mysore en route Srirangapatanam Sightseeing in that visit to Sriranganatha Temple, Tipu Sultan Summer Palace. After arrival Mysore Sightseeing in that visit to Vrindavan Garden & after dinner Overnight stay at Mysore. After breakfast Mysore Sightseeing in that visit to Chamunda Hill, Nandi Hill, Maharaja Mysore Palace ,Zoo. After dinner Overnight stay at Mysore. After breakfast proceed to Ooty En route Bandipur Jungle Safari Sightseeing. Arrive Ooty. Then after dinner Overnight stay at Ooty. After breakfast Ooty Sightseeing in that visit to Botanical Garden, Hill Station , Ooty Lake, Coonoor - Tea Farms. After dinner Overnight stay at Ooty. After breakfast proceed to kodaikanal. Arrive kodaikanal and Overnight stay at kodaikanal. kodaikanal Sightseeing and Overnight stay at kodaikanal. After breakfast proceed to Erode and Then Erode to Pune by 16382 kanyakumari Mumbai Exp.at 20:05 Hrs.